Each year, more than 50,000 runners trek through New York City’s five boroughs during the famous NYC Marathon. But on the daily, you don’t have one million fans cheering you on and street closures to keep you moving. 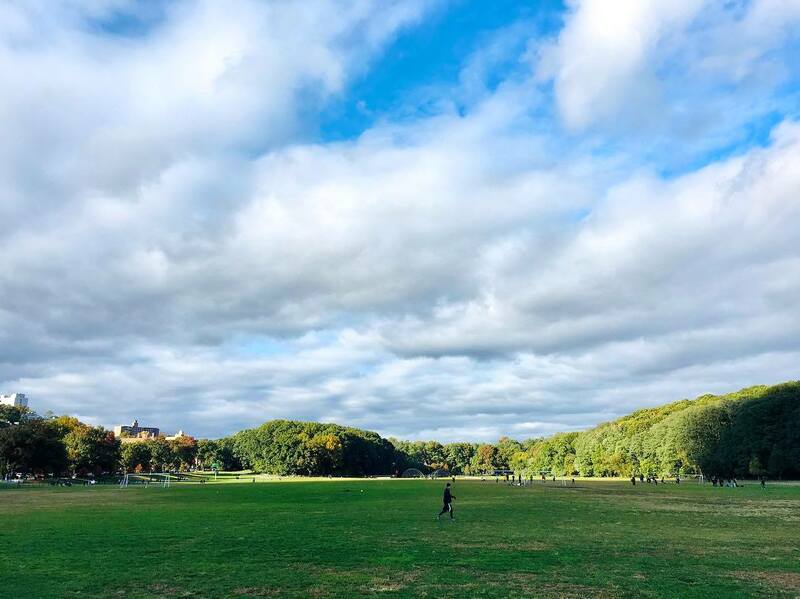 Instead, New York’s skyline-view running trails and surprisingly green parks will motivate you to lace up your sneakers — you just gotta know where to find them. Whether you’re a marathon regular or new to this whole running thing, these are some of the best run routes in NYC. Whether you want to do the full 11 miles or just a section, the Greenway’s long stretch of pavement is clutch for running through the city without stoplights slowing you down (but on a beautiful day, watch out for crowds of tourists and hurried cyclists headed uptown). It spans almost the entire west side of Manhattan, from Battery Park all the way up to 181st St. As you run along the water, you’ve got views of New Jersey, the George Washington Bridge, the Statue of Liberty, and almost 15 NYC neighborhoods. 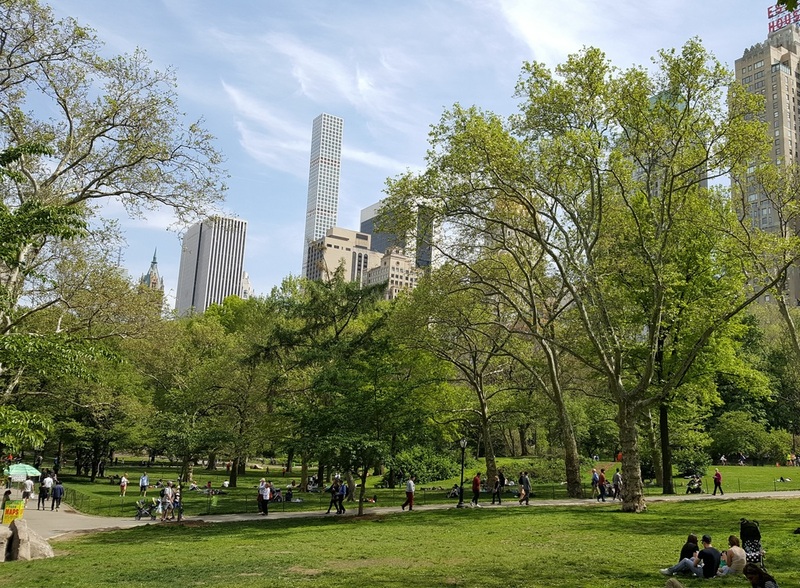 A giant green oasis smack dab in the middle of New York City, Central Park is one of the city’s most visited attractions, but it’s also great for training runs. Those looking to go the distance (and the elevation!) can take on the 6.1-mile loop, features rolling hills (and one really, really steep hill!) circling the entire park. 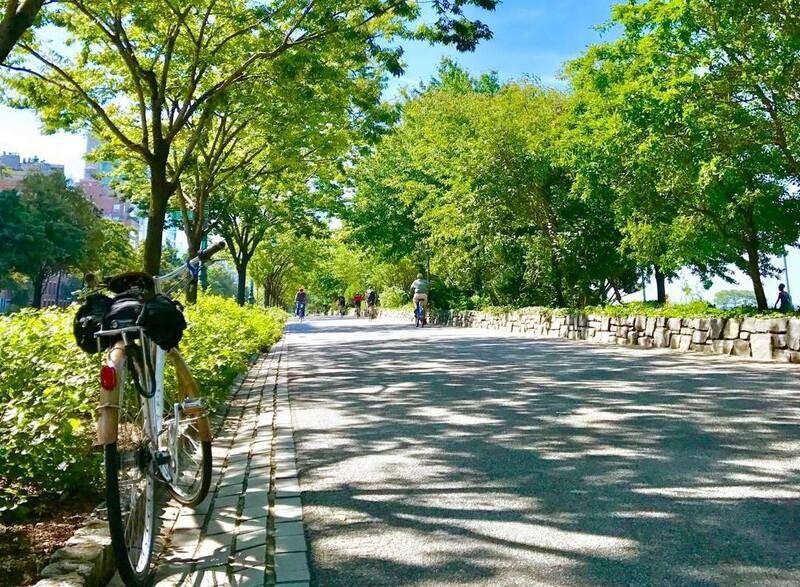 For a shorter, flatter route, loop around the Jacqueline Kennedy Onassis Reservoir, a roughly 1.6-mile dirt path with great views of the city. Fitt Tip: if you start near Columbus Circle, you can store your belongings at the JackRabbit running store in the Time Warner Center for free while you run. 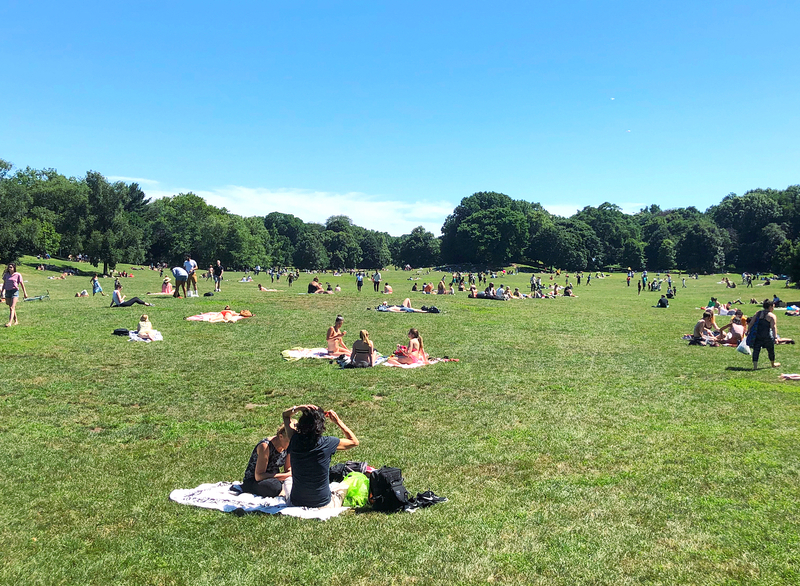 While not as big as Central Park, Brooklyn’s Prospect Park feels more like a true park — you won’t catch any skyscraper views here. The 3.68-mile loop has some rolling hills but is balanced out by long stretches of shade. And during the summer, there are a ton of musicians and street performers around the park to keep you entertained as you run. If you divert from the main path near Long Meadow, you can take a slow jog past the dog beach — 10/10 recommend. During the day it’s a zoo, but if you head out early enough (or later in the evening), the Brooklyn Bridge can be a super peaceful spot to run. It’s only 1.1 miles long, so it’s ideal for a short jog out and back from either Manhattan or Brooklyn. 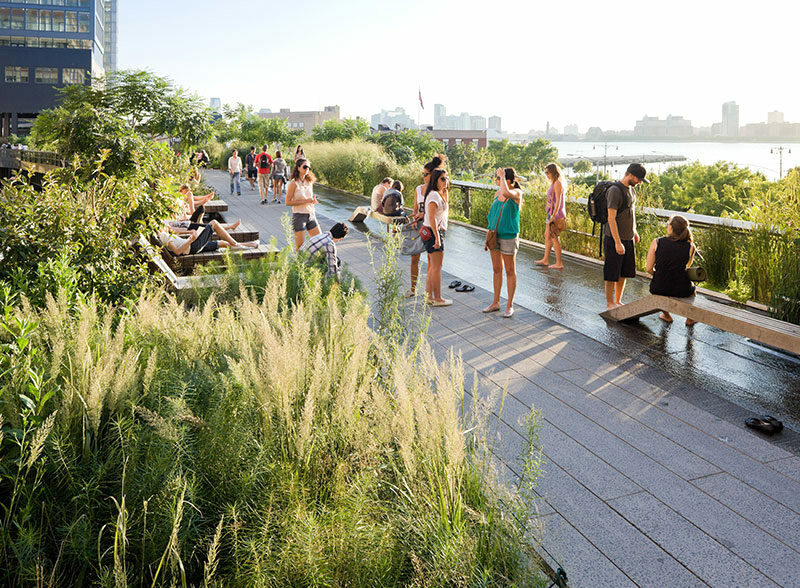 But if you want to tack on a few more miles, Brooklyn Bridge Park has a 1.3-mile path, plus views of One World Trade, the Statue of Liberty, and the Empire State Building. Not a bad way to start your day. 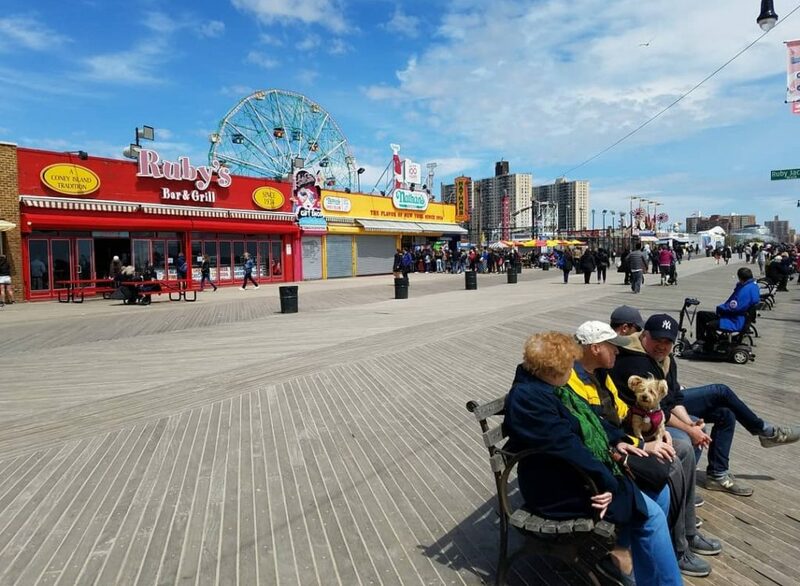 Combine a getaway and your exercise regime into one activity and head to the Coney Island Boardwalk for a roughly five-mile beachfront run and some very interesting people-watching. Home to the finish line of Brooklyn’s most iconic half marathon and reward yourself for putting in the work by visiting the aquarium or riding the Cyclone post run. There’s something about running near the water that makes you forget you’re in one of the biggest cities in the world. 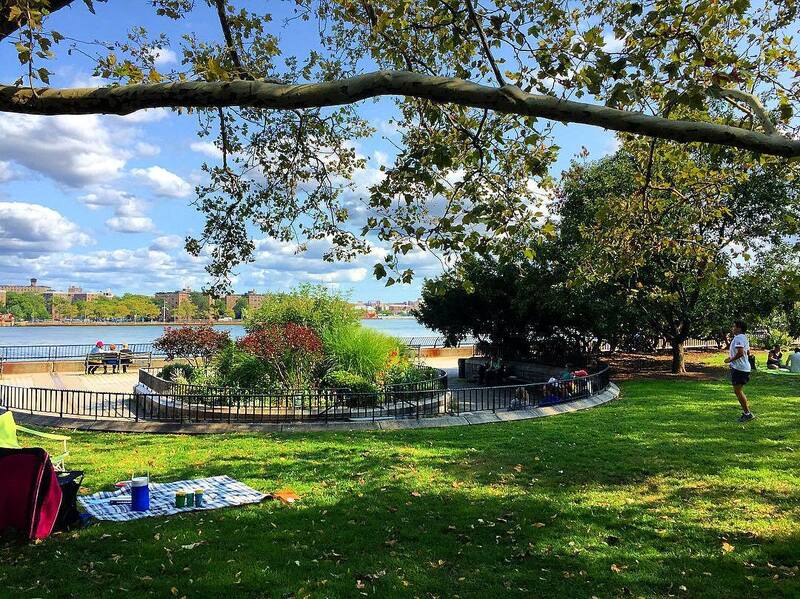 Take a run through this Upper East Side outdoor oasis for awesome views of the East River, the Roosevelt Island Lighthouse, and Gracie Mansion (home of November Project’s Wednesday morning meet-ups). The path is super wide and mostly flat, and runs from 84th St. up to 125th. The Meatpacking District’s railway track turned park gets pretty crowded during the day, but early in the morning, it’s a gorgeous running spot. 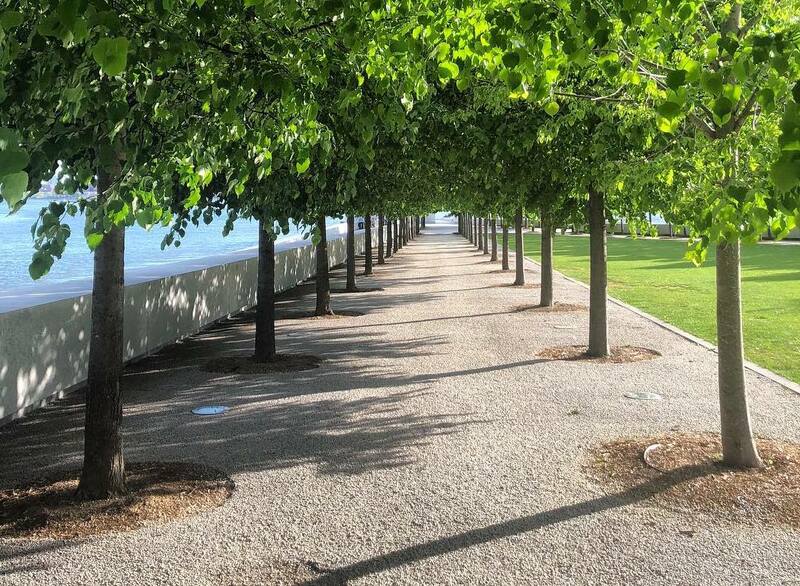 The path opens at 7am, and we recommend getting there early if you want a crowd-free run. The path is a flat 1.45 miles, and 30 feet above ground, so get ready for some kickass views of the city. 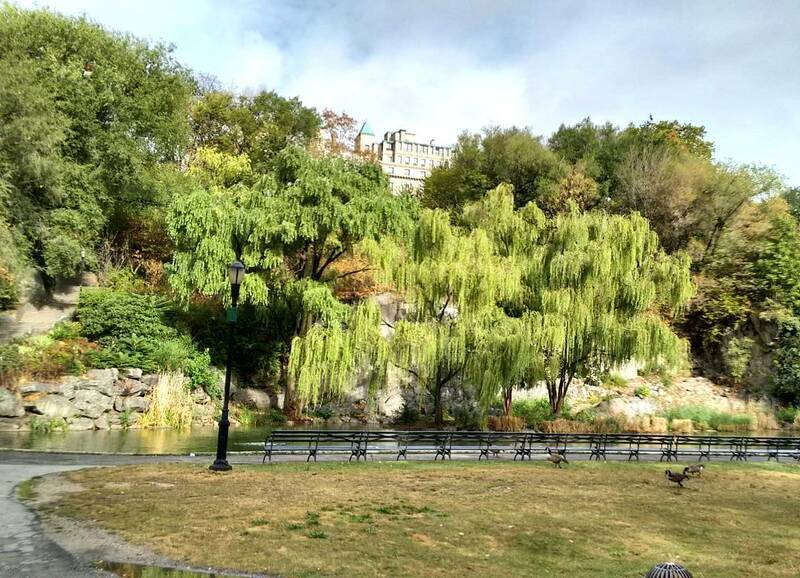 Morningside Heights/UWS residents are lucky to live within jogging distance of Central Park. 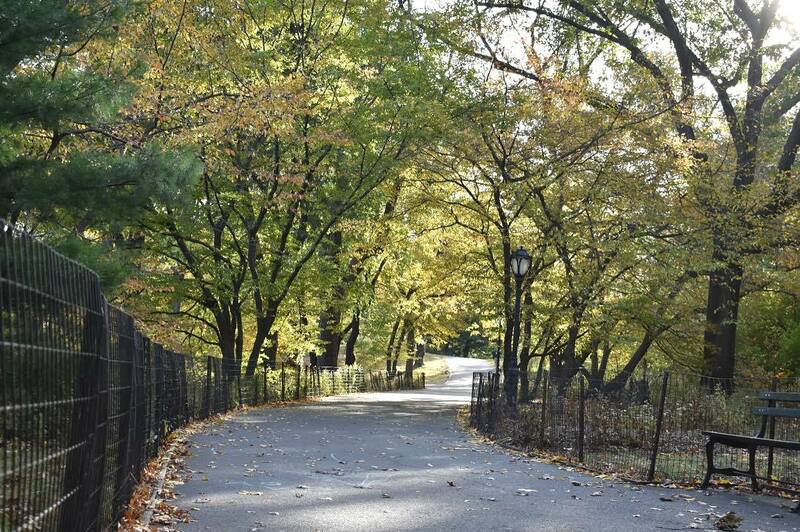 But when you need a place with less of a time commitment, Morningside Park is the move. It’s a short path, stretching just 13 blocks between 110th to 123rd streets, but there’s a track at one end and plenty of stairs throughout the park if you want to amp up a morning jog. When you’re up for a slightly more adventurous run, cross the Queensboro Bridge to Roosevelt Island (or subway there on the F). The island is situated right between Manhattan and Queens, and is encircled by a 3.8-mile running path. On the island, you’ll pass cool spots like an abandoned smallpox hospital (not creepy at all) and a pretty stone lighthouse. If you live in the Bronx or are down to make the trek north, this park has tons of options. There are the three- and five-mile loops on the cross-country running trail (fair warning: they’re tough), and a quarter-mile track at the Van Cortlandt Stadium. 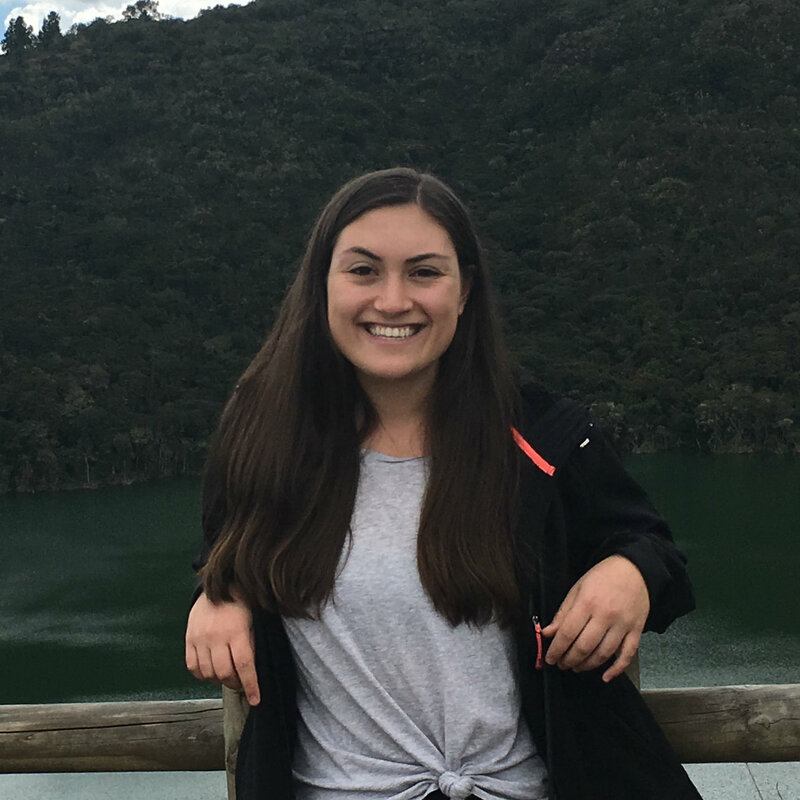 The park itself is huge, with a golf course, lake, forests, and a nature center, and plenty of pathways winding throughout if you’d rather run your own course. 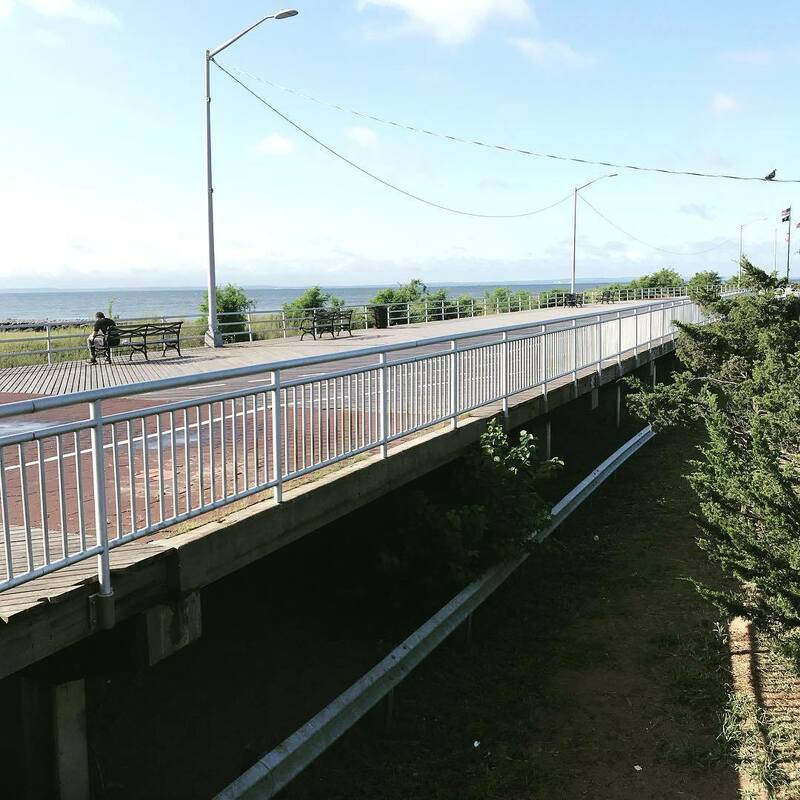 If you’re looking for a beachside run in New York, Staten Island’s 2.5-mile boardwalk is your best bet. Take the free ferry from Whitehall Terminal in lower Manhattan, and run to Miller Field or the Verrazano-Narrows Bridge, the legendary starting point for the iconic New York City Marathon. That amazing view you’ll see is called “the Atlantic Ocean”, and the path is flat and wide throughout. Plus, the people-watching is on-point. 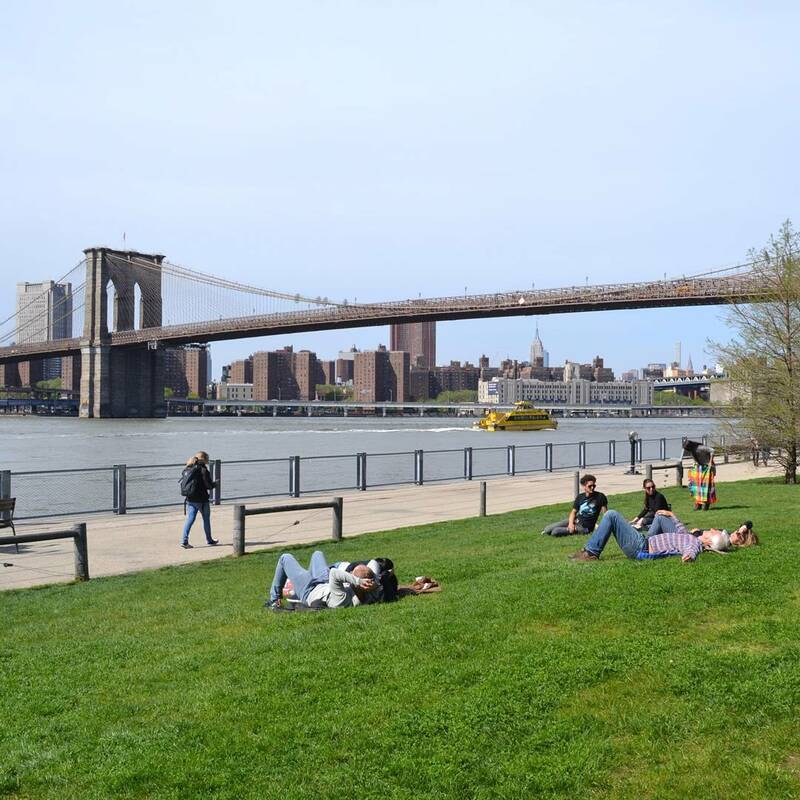 For views of the Statue of Liberty, Brooklyn’s waterfront, South Street Seaport and the Manhattan, Williamsburg, and Brooklyn bridges, take the East River running path from the tip of Manhattan in Battery Park and head north. 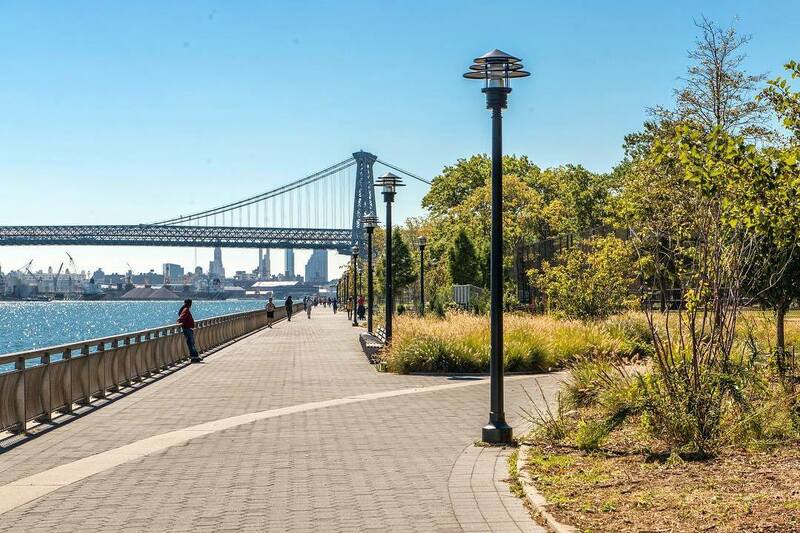 Enjoy the traffic-free path for nearly 4.5 miles until you reach East 34th St., or peel off at the bridge of your choice and head to Brooklyn for a change of pace.